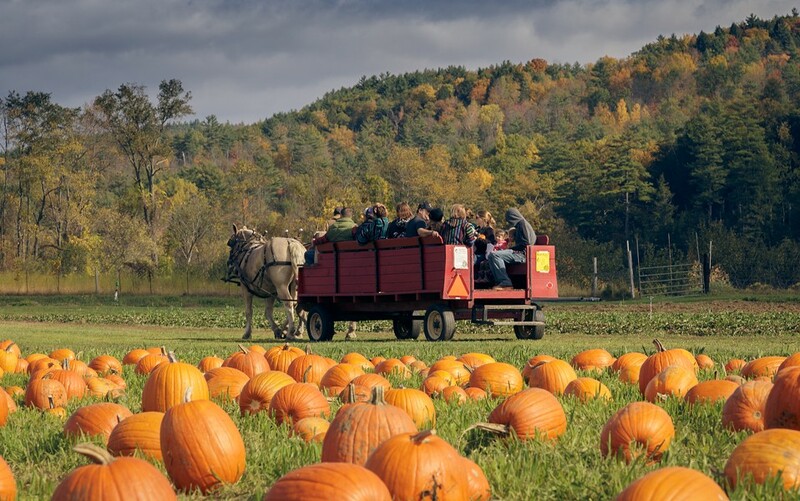 Pumpkin Festival at Cedar Circle Farm | Cedar Circle Farm & Education Center | Science & Nature, Fairs & Festivals | Kids VT - small people, big ideas! Families see orange at this quintessential fall farm affair, featuring pumpkin picking, cider pressing, live music and food galore. Kids-centered activities include traditional folktale storytellers Tim Jennings and Leanne Ponder, Vermont Institute of Natural Science's birds of prey, horse-drawn wagon rides, a hay bale climb and more. Price: suggested donation $10-15 per car; food and drink available to purchase.